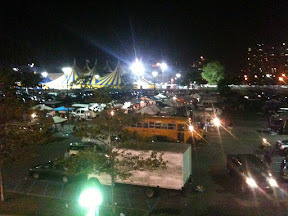 I made it into the 2nd night at The Furthur Brooklyn shows and it was awesome. Flowski went in the first night. 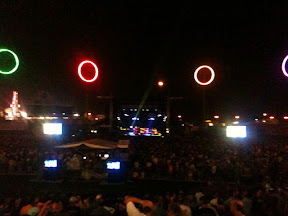 This is from Flowski the first night in the MCU Park in Brooklyn, NY. The police in Brooklyn were very kind courteous and respectful. I was amazed at the great experience we had here in New York. We got a lot of locals that were just going to the beach that stopped and bought necklaces and bracelets. The Furthur fans have more rock hounds and people that appreciate good art. Here is our booth setup seen from in the venue. We are to the right of the bus with the corner store. I was jamming out to Furthur watching Flowski make money for us. 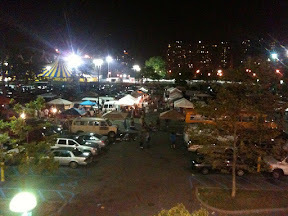 Here is shakedown during the show. Most of the vendors made it in tonight. 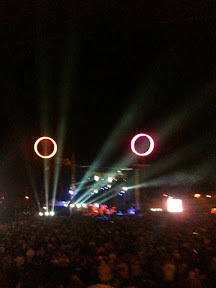 But we were right next to the venue so Blow in and Blowout were awesome!